Basket Mouth's funny posts after hearing Davido graduated with first class. Basket mouth seemed to be really stunned, when he got news Davido graduated with a first class and posted a funny picture and tweet on his instagram and twitter respectively. 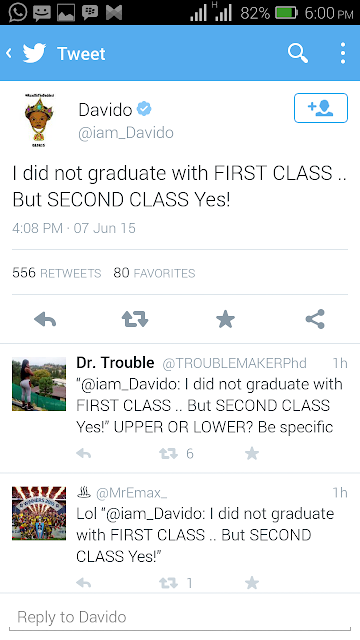 Davido later denied reports of him getting first class saying he got 2nd class, but the damage had already been done. Meanwhile Davido is hosting the graduation party at Babcock University with his family and celebrities like Don Jazzy, Reekado Banks and B-Red at the occasion. 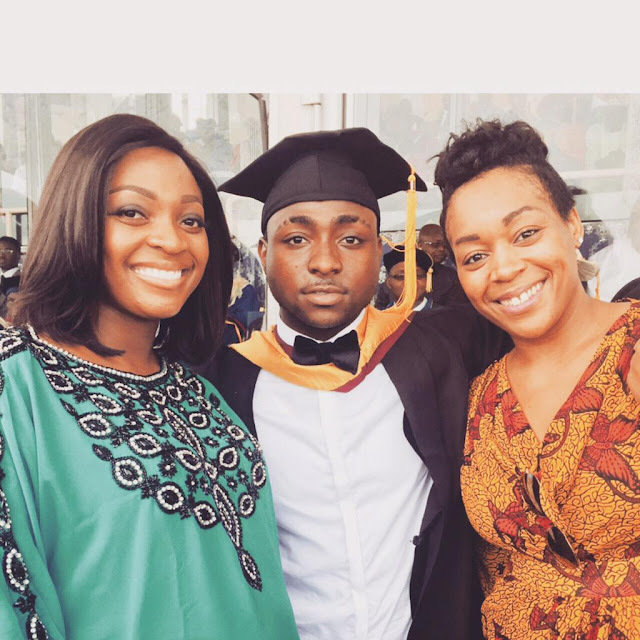 Word has also gotten out that Davido is the only student to graduate from his department! Sounds suspicious doesn't it? 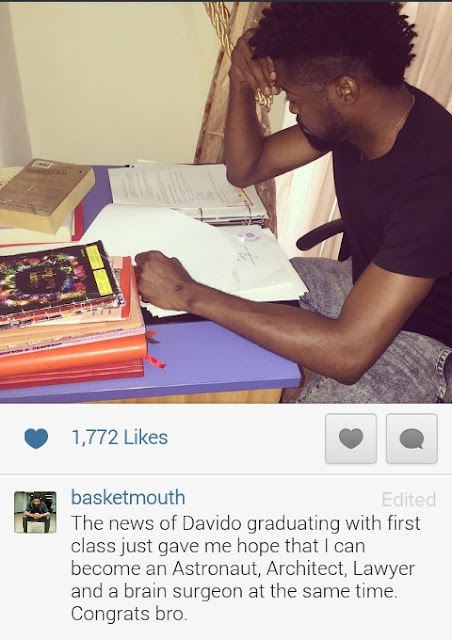 Re: Basket Mouth's funny posts after hearing Davido graduated with first class.